Have you ever thought about what you want to invest in during your 20s? 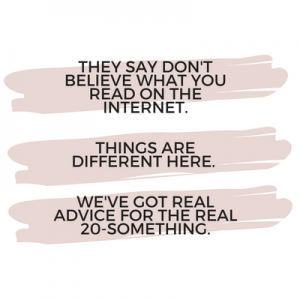 IMO, your twenties are the perfect time to start investing. I don’t necessarily mean a financial investment (although it can be), I mean your time and energy, outside of work. When I first started in my job, I noticed that I was incredibly underconfident in my public speaking (I’m just so awkward)! For what I do full time, this is something that I have to do constantly. Eeek! When I first started, I discovered this was my biggest “weaknesses”. As I’ve said before – ALWAYS hire out your weaknesses. I ended up spending about $500 in improv classes to help myself be more comfortable in front of crowds on the fly. This was honestly the best thing I’ve ever done for my career and I’ve been fine since! Investing in your 20s can give you a head start on all things in life, whether it be your education, a long-term dream or your financial future. Remember: any investment doesn’t have to be a LOT of time or money, it could be even five minutes a day. Even if it’s small amounts, most encourage it for young people. What Should A 20 Year Old Invest In? 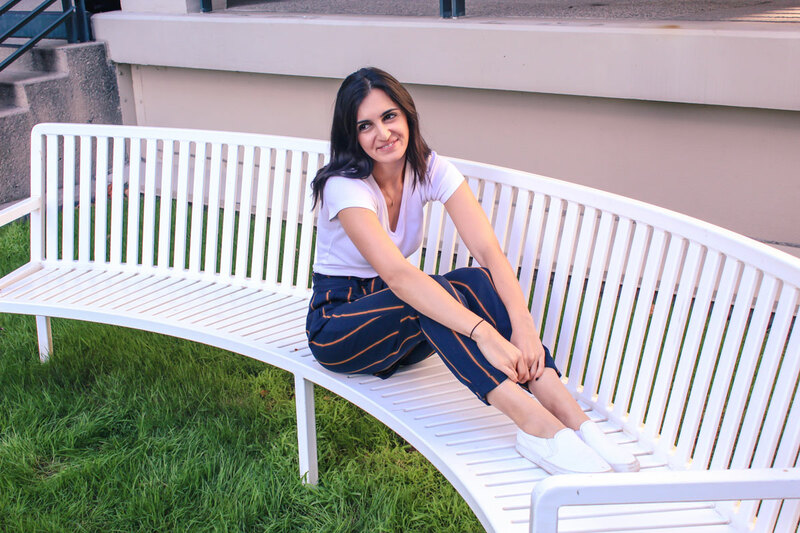 In this post, we’ll absolutely talk about the non-monetary ways you can invest in yourself. If you start in your 20s, you really can get ahead in life. There is something to be said about putting your money, even if it’s a tiny bit of. Because the earlier you start investing, the more it grows long term. Ultimately, your personal finance is incredibly important to long-term well-being, so you have the means to live comfortably in the future! In addition to credit cards (to build up your credit to buy a house or car one day), you can start investing your finances in small amounts that will build up over the time. If you have trouble investing money, give yourself a target date to start after the new year! If you invest correctly in the stock market, you could make tons of (what feels like) free money! However, it is an easy, and somewhat feeling like unpredictable, way to invest. I would certainly have a financial plan before you dive in. If you want, you can even get a financial planner to help you. There are a few easy apps, like Robinhood, that make it easy to invest in the stock market without dishing out a ton of money or time. Try this if you want to get started. Saving for retirement is so important. I actually wrote an entire post on the different ways you can start saving for retirement here if you want to read more in-depth. However, if you are just starting, try investing in a Roth IRA. A Roth IRA means that you are taxed on the money you put into the account NOW. In theory, we all hope as we get older, we will be making more money, which means we will be in a higher tax bracket. So, if you want to avoid potentially higher taxes as you have more income, you ideally want a Roth IRA. You can consider this your retirement account and below, we’ll talk about a savings account. Have you ever heard of the concept of compounding? It’s the idea that if you start investing your money at a young age (like the age of 20! ), you can grow it much bigger than you would if you started 10 years later. Do this easy math: If you invest $100 every month starting at age 20 into a savings account, you’ll make $1,200 a year – if you do that for 10 years, you’ll have $12K extra in a savings account. That’s like, just a few Starbucks drinks a month! Now if you have student loans, that’s a totally different and I would absolutely work on paying those off first! You should absolutely invest in your education in your 20s to enhance your skills and potential work experience! When a lot of people think about education investment, they immediately think of an expensive school. You can absolutely choose to invest in a higher degree, although that can be extremely expensive. I personally do not have a degree beyond college. I ended up asking a lot of managers and my work if they had one and made a financial decision from there! There are so many other ways you can invest in education. If you’re looking to invest, try buying a book or subscribing to a podcast where you can learn something new. This is an easy and affordable way to enhance your education in your 20s. Personally, I love learning about health and skincare from The Skinny Confidential or get career advice from Betches. I also try and read a mental health book or a marketing book every few months, and I absolutely love it! I constantly write about the stress that comes in your 20s. It’s normal that this is an awkward time for all of us! This is a long-term way to ensure you are going to be your happiest in the future. Whether it’s therapy, self-help books, a meditation app (you know I’m a huge fan of Headspace! ), finding a way to work through any hard times that happened to you is so incredibly important. There was definitely a point in my life (and something I’m constantly working on) where my mental health was in a horrible place! I’ve invested in my mental health so much. I still meditate a few times a week, that I’ve really been able to hold on these great life practices. It’s no secret that your physical health goes hand in hand with your mental health, but did you realize that keeping an active lifestyle will help you have a better mental health? This is because every time you exercise, you release serotonin, a brain hormone/chemical, that actually makes you happier. YES, it actually works like this! For me, working out has always felt like a chore. I truly found a work style that I loved (classes like Barry’s, or CorePower), and even though it’s expensive – it’s the ONLY way I’ll make it to the gym! If you can find a workout that doesn’t literally feel like you are going to hyperventilate on the treadmill, know that you’re investing in your long-term health by finding a way to pay for it! Along with the last two ways to invest in your 20s, eating healthy goes along in that list! There’s a massive misconception that you have to pay a ton of money to eat healthy in your 20s, and I totally disagree. If you are smart about what you are buying, plan and cook ahead, you can easily eat healthily in your 20s! Similar to being physically healthy, focusing on what you eat can be an amazing long-term investment. We truly are what we eat, so if we are eating way too much sugar, for example, we could push ourselves into mood swings, or bad sleep cycles. These healthy habits are truly amazing in your 20s! Life experiences are one of the best ways to invest your time and money in your 20s! I truly believe this time in your 20s is the time to live, be spontaneous if that’s what it takes. There is so much to see in the world. So if you have a desire to travel, experience life and invest in that! I’m going to Australia in a few weeks (who has travel tips?!). I am so proud of myself to let myself take time off work and invest in taking a trip that’s been a dream goal of mine. 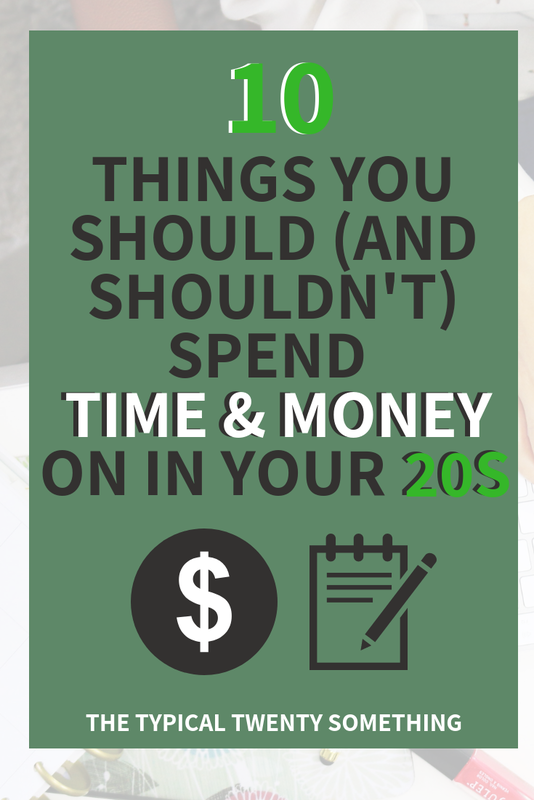 I like to call this your 20s time – the things that you can’t do the rest of your life but you can do in your 20s! So you’ll hear me say this over and over again as a life motto: hire out your weaknesses. Even though sometimes it feels silly, we should all be planning for the future! You can hire someone to mentor you on your life planning, like financial planning, a financial advisor or emotional life planning. These are things that will help you be happier for the rest of your life and that is truly the most fulfilling of all! Honestly, you shouldn’t put the pressure and expectations on yourself to just know how to do finances or your career without help. It’s totally fine to hire out someone to do it. I’ve always wanted to hire a career coach to better understand my next path in my job. It’s so hard to stay unemotional in your current positions at times that I thought it would really help! 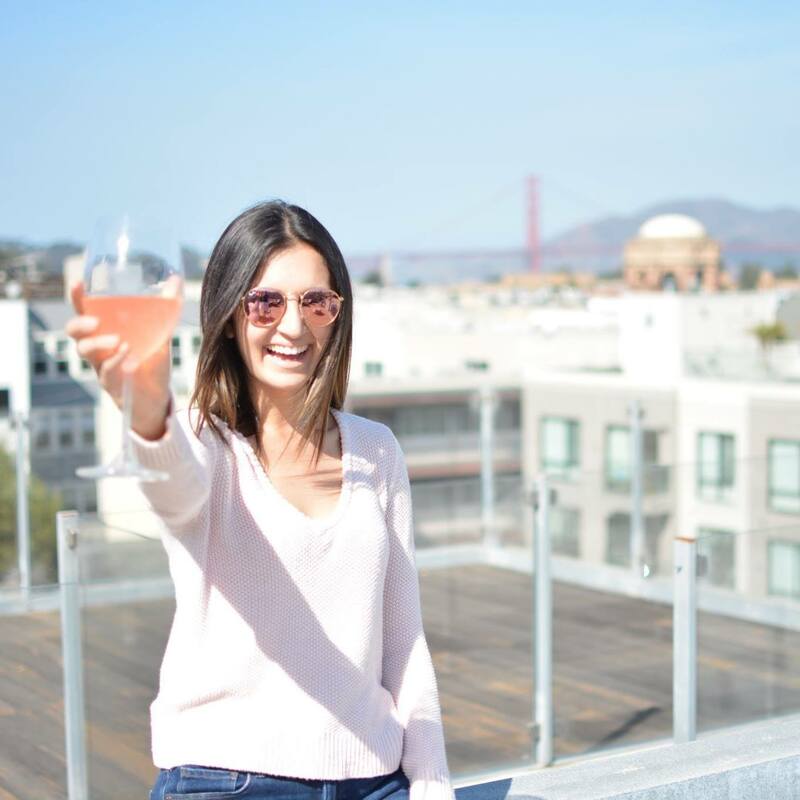 If you’ve been following the blog for a while, you know that I found it SOOO challenging to find like-minded people for friends and networking in San Francisco! If you can invest in networking, I would highly recommend it. I was having so much trouble making friends when I first moved to SF. I actually joined a women’s organization called Women in Wireless to make some friends! It ended up being an amazing way to network and when I got laid off my from my first job, I ended up getting my new job from those women. Networking will help you find people similar to you (friends, yay!) but also caring, young people. There are so many organizations in SF, like Junior League or the one I joined, that help you network. I actually found WiW by simply doing some Googling and searching on LinkedIn, it was actually super easy to find. This is such a good way to meet other young professionals! So We’ve Talked About What You SHOULD Invest In, What ISN’T Worth Your Time Or Money? 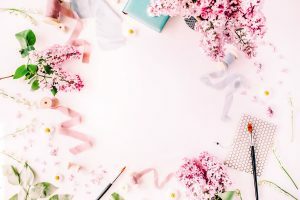 I’ll admit – I’m the first one to have trouble NOT spending money (and time!) on things like shopping! It’s something I’m actively working on since I officially have no room left in my closet. My boyfriend told me a great quote about spending money the other day. He said, “buy things that fix problems, not make you happy in the moment!” So I try and remember that when I have the urge to shop! So this may be a bit controversial, but I’m personally terrified of debt and interest rates. There will likely be a time where I want to purchase a home, or a car, that I won’t be paying for something in full. I’m all for not having massive interest rates and debt long term! So look – there will always be something you want, but may be out of your means. Whether it’s a Celine bag (ugh, want one so bad) or a new car, I am so against buying something that will put you in debt. You should not dip into your savings for something material! Most material things aren’t worth it long term, the novelty fades, it’s so short term! What do you want to invest in? Comment below and share your thoughts on this list!